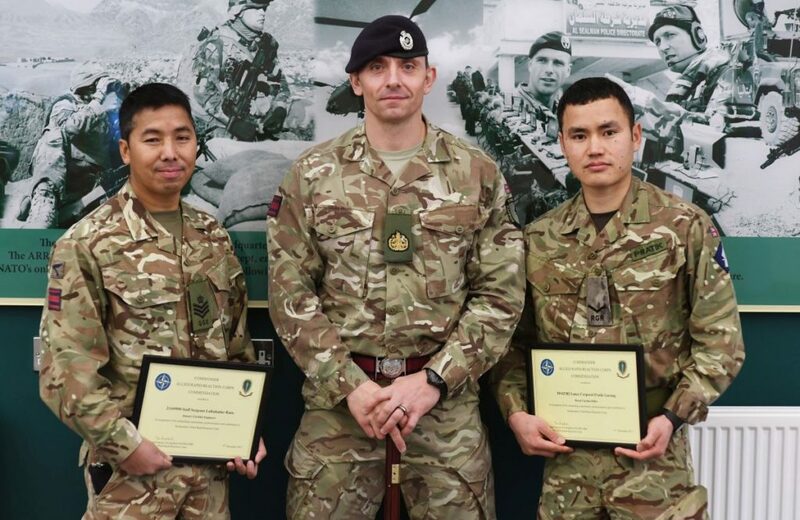 Two Gurkha soldiers from the Allied Rapid Reaction Corps Support Battalion (ARRC) recently received Commander ARRC commendations. 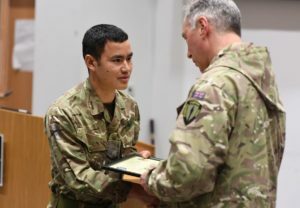 They were awarded by Lieutenant General Tim Radford CB DSO OBE for outstanding professionalism and commitment during the exercise period. 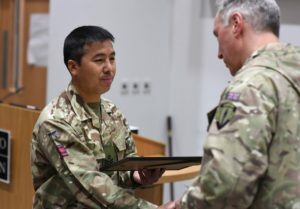 ARRC Support Battalion provide a bespoke and resilient staff working environment which can be deployed anywhere in the world at short notice to allow the NATO Allied Rapid Reaction Corps Headquarters to carry out their command role in any type of conflict. The battalion also provides the crucial real life support and protection that enables this key Headquarters to focus on its operational role.